Wilhelm II of Germany (1859-1941, also known as William II) was the last Kaiser (Emperor) of Germany and was King of Prussia. He ruled the German Empire and Kingdom of Prussia from 1888-1918. 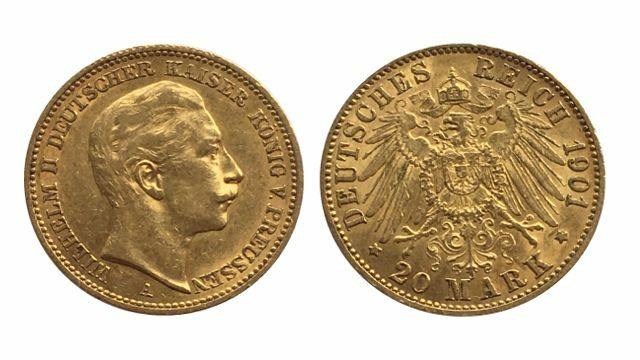 Wilhelm II Gold coins were the last gold coins issued by Germany. Wilhelm was the eldest grandchild of the British Queen Victoria as his mother was Victoria, the Princess Royal, eldest daughter of Queen Victoria. When Wilhelm I died, Frederick II became Emperor but was already terminally ill and died after 99 days; his son became Willhelm II in 1888. The German Empire was initially like a federation of a number of states and many of them issued their own coins of various denominations. 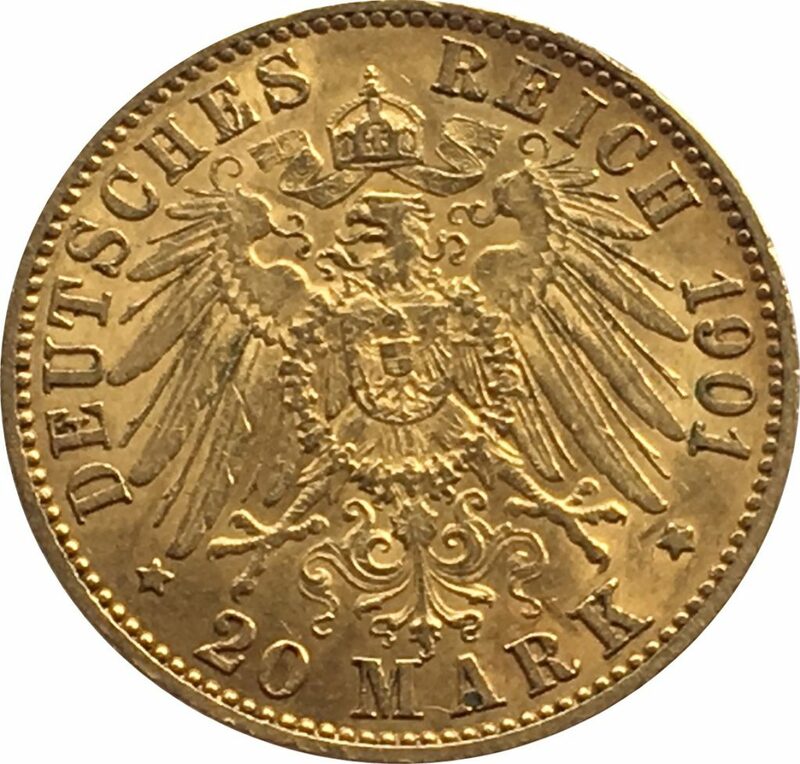 By 1871 the 20 Mark Gold coin had become the standard trading coin in most of Germany and many parts of Europe. Five and ten Mark Gold coins were also produced, so too silver coins. The most commonly used German coin was the 20 Mark pieces of Prussia issued from 1871 to 1915. They were worth, at the time, about two-thirds of a British Pound. Germany was an important and powerful country at the time, and Europe was unsettled, waiting for war to break out somewhere. Willhelm II was intelligent, but arrogant and short-tempered and his foreign policies and later support for the Austria-Hungary empire led to the First World War. By 1918 he had lost support of the Army, abdicated and fled to the Netherlands where he died in 1941. 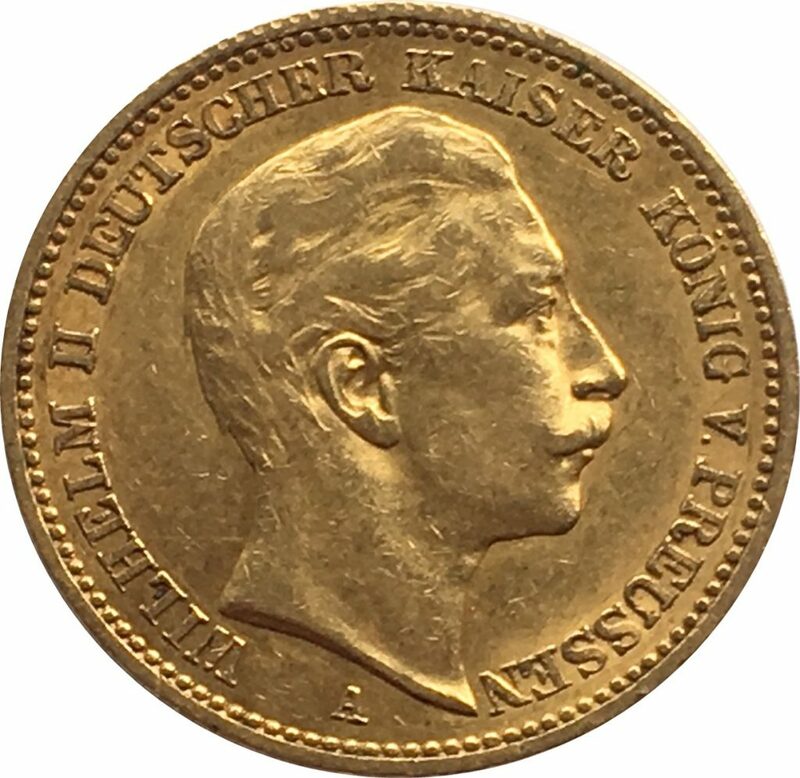 German gold coin production ended in 1915. 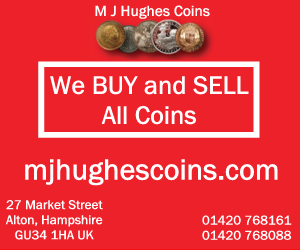 Wealthier Germans hoarded the gold coins as a safe haven against the inflation and hyper-inflation suffered by Germany during the 1920’s but most German gold had to go into the war effort and many coins were melted down. 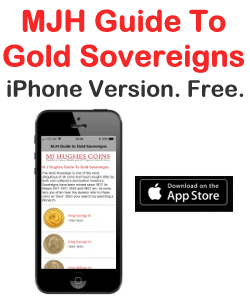 Not even the Third Reich minted gold coins. Reverse shows a Crowned imperial eagle with the legend “DEUTSCHES REICH”, the date, and “20 MARK”. THE GREAT WAR 1914-1918-THE KING & THE KAISER GOLD COIN OF 1914. SIGNED BY GABRIELE STAMEY 'The Dragon' Swarovski Collectors Society 1997 excl.